Curious about our Cancellation Policy? Want to see the complete curriculum? President and CEO of the Greater Omaha Chamber (David Brown) and MindSet's Founder (Dr. Kim Hoogeveen) make a compelling case why you should attend the MindSet Leadership Series. This program has been pre-approved for 16 PDCs for the SHRM-CP and SHRM-SCP and 16 HR (General) credit towards aPHR™, PHR®, PHRca®, SPHR®, GPHR®, PHRi™ and SPHRi™ recertification. 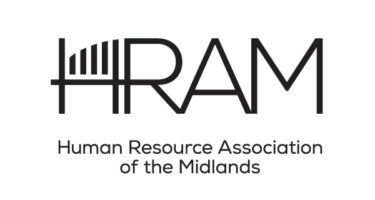 HRAM is an approved SHRM Preferred Provider and HR Certification Institute® (HRCI®) Preferred Provider. Our past participants loved our Leadership Series. We’ve shown a snippet of their feedback, but you can view all of the feedback here. MindSet's Leadership Series is beyond professional development here - these insights can add a new layer of brilliance to the way we manage and lead. When it comes to leadership and how to build a great work culture, MindSet is a resource that I can unconditionally recommend. Their approach flat-out works. MindSet has a huge toolbox of content to create engaging programs that yield immediate results. I believe an investment in the Leadership Series will pay for itself many times over. MindSet is the one leadership training I have ever attended that had real value. MindSet did not just focus on management tricks to squeeze more out of your team, but on making me into a better person, and helping my team to be better people. The MindSet approach is deeply embedded into our culture, and it is responsible for much of our growth, cultural health, and business success. I would strongly encourage any CEO or owner to get your executives and supervisors trained through the Leadership Series. Ready to Become a Better Leader? Should you need to cancel your participation in a MindSet program, please provide notification to MindSet by either emailing us at info@gomindset.com or calling (402) 980-3344. MindSet will provide a 100% refund (minus any non-refunded processing fees) for any cancellations made at least 30 days prior to the initial date of a MindSet program. Participants who cancel less than 30 days prior to the start date of a MindSet program will be eligible for a 50% refund. Once the initial MindSet program session has begun, no cancellation refunds will be provided. Registration for MindSet programs is not transferable without MindSet approval. Participants are responsible for making themselves available for each training session. No refunds will be offered for sessions a participant misses or is unable to attend.